Our Registered Apprenticeship Programs are 3 1/2 year programs consisting of 156 hours per year of Related Training (at the Training center). The rest of your time is spent working for a signatory contractor earning good wages and benefits while accumulating your OJT (on the job) hours. Wage progression is as follows, 55%, 60%, 65%, 75%, 85%, 90%, 95%, 100%. With no previous experience, you will begin at 55%. Every 6 months and 700 OJT hours you will be eligible to advance to the next level, providing you have completed all related training classes available within that period. If you have previous experience in one of these crafts you will be evaluated and entered into the program at the appropriate percentage once employment begins. Contact us if you are interested in becoming a Craftsman in one of the oldest and most rewarding trades. We also provide Journeyman Upgrade and Safety Training as required. Additional Training opportunities are available through IMI. All applicants shall be at least eighteen (18) years of age. All Applicants shall present a Social Security Card issued by the Social Security Administration. All applicants shall be physically capable of performing the essential functions of the apprenticeship program without posing a direct threat to the health and safety to the individual or others. Completion of 8-week Pre-Job Training. This session consists of eight continuous weeks of mostly practical exercise. The intent of ths format is to expose potential apprenticeship candidates to the basics of the trade. The training days run from 7:30 a.m. to 4:00 p.m., Monday through Friday. Upon successful completion of the Pre-Job Training an attempt would be made to find a placement for the Pre-Apprentice with one of our signatory contractors. These Pre-Job Training programs usually begin around the first of February each year. In the event of a higher demand for apprentices in a given year, the Joint Apprenticeship Training Committee may opt to conduct a second Pre-Apprentice Training Program. Proper trowel skills and mortar spreading techniques, laying of many different types/sizes of materials such as concrete block, modular brick, and utility brick. Building simple masonry structures to the correct length, width, and heights. Establish proper work ethics, conduct, attitude, and timeliness. Project neatness and quality of overall workmanship.At the conclusion of the program we will assist in finding your first employment position with a signatory contractor. After you have been placed you would then be required to join the Bricklayers & Allied Craftworkers Local Union 15 MO/KS/NE. Ideally the student would remain gainfully employed with their assigned contractor and would resume training at the training facility the following semester as a registered first year apprentice. If after making application for the apprenticeship program and procuring employment with a Signatory Contractor who is willing to provide you a letter of intent to hire and onces negative drug screens are provided you would then be registered in the apprenticeship program and begin as a first year apprentice. Individuals with previous related trade experience who wish to become a BAC Member must complete a skills evaluation. From the results of this exam the individual would be credited with on the job training hours (OJT) and related training (RT) as applicable. They would then be placed in the apprenticeship Program accordingly, or be classified as a journeyman. Evaluations are given by appointment only. This program is a three and a half year program that requires the completion of 4900 hours of on the job training as well as 156 hours per year of related class room training. The training year runs from the beginning of September through the end of June. In order to fulfill the 156 hours of related training requirement students must attend classes two days each month. New apprentices will go through an orientation and must complete OSHA 10 hour training the first two class days. The first year training courses concentrate on the development of manual skill such as spreading mortar proficiently with a trowel, measurement skill, and layout. 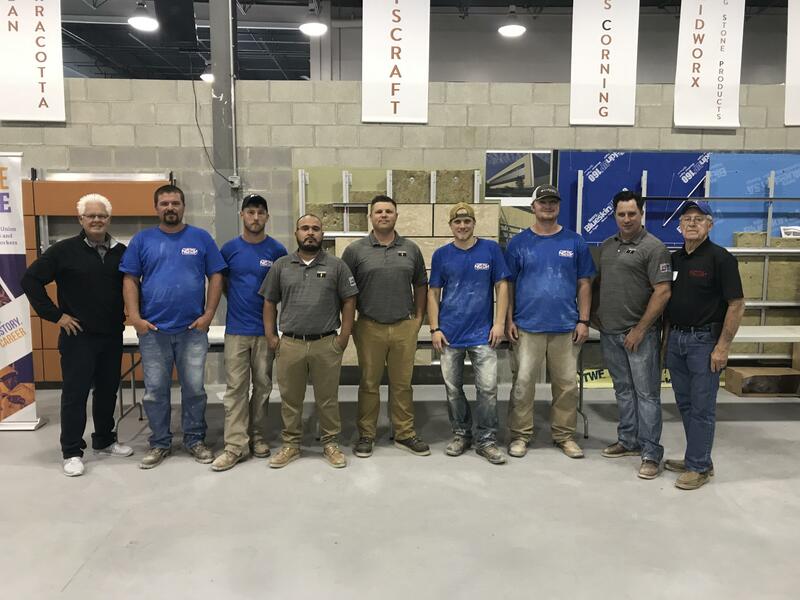 The second year training courses involve the refinement of manual skills with more complex projects such as radius walls, arches, and the use of a variety of materials and patterns. The third year of training involves blueprint reading, IMI level 1 foremen training, BAC steward training, IMI grouting certification.